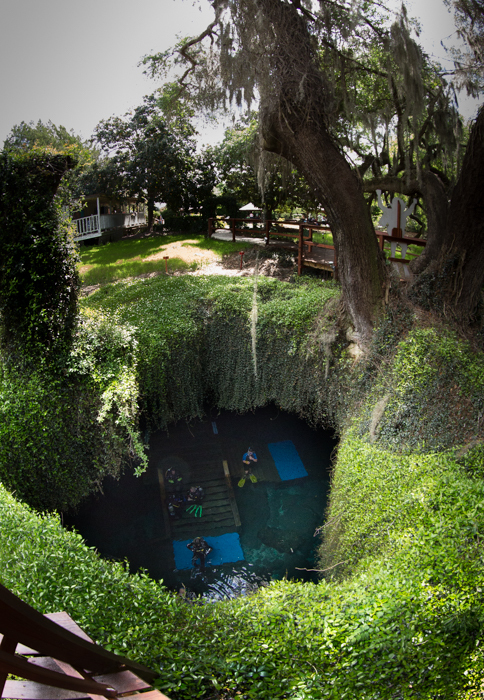 Natural North Florida’s geologic substructure is unique, with underground rivers that pop up at random in the form of 72-degree freshwater springs. 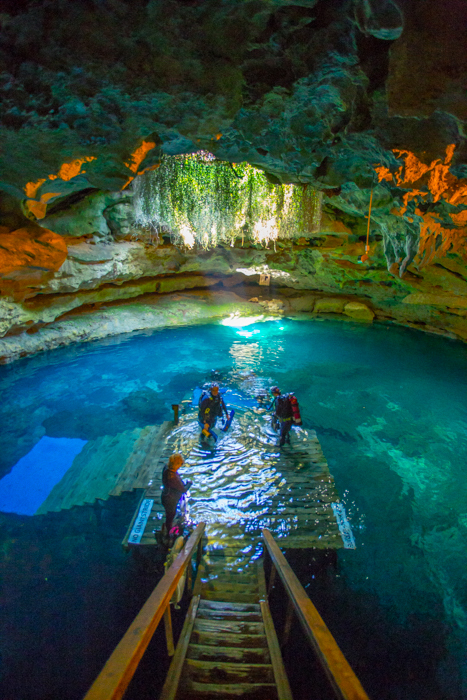 Two examples are Devils Den and Blue Grotto in Levy County, near Williston. Located just of ALT US98, these two private parks offer some of the most beautiful above-and-below ground scenery in the region. 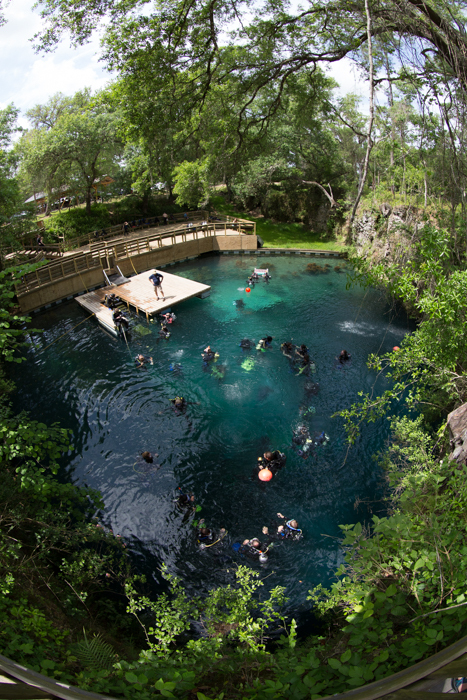 Blue Grotto, located about 2 miles from Devils Den, is solely devoted to divers, but snorkelers can be accommodated, depending on crowd size. It offers motel-style lodging, camping, a dive shop and a training pool. 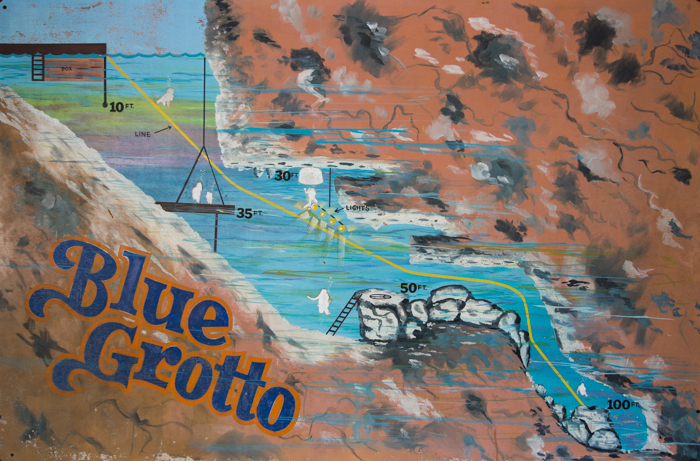 Blue Grotto is also very popular with cave divers, many of whom descend to the 100-foot mark. Blue Grotto is more open to the daylight than Devils Den, offering guests a better view of the spring. 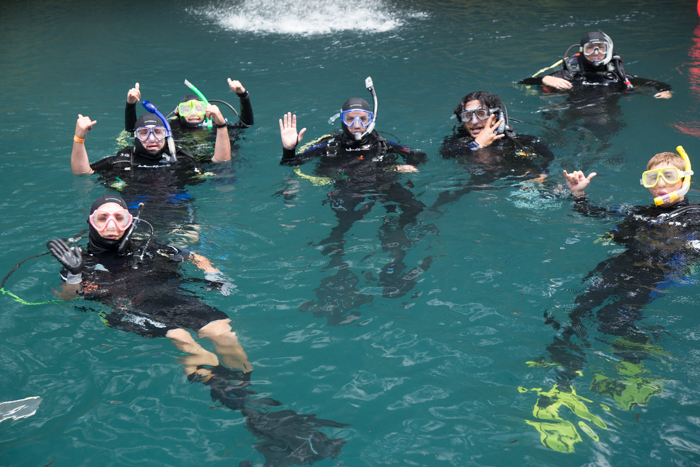 Both Blue Grotto and Devils Den are excellent places to learn to SCUBA dive or to hone your diving skills. There are instructors on staff and many instructors from other parts of the state bring students to these two springs to learn.